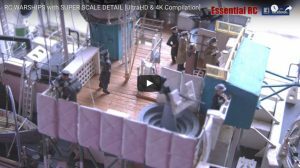 Members of the Surface Warship Association displayed their models in the WWII Weekend held at Action Stations in Portsmouth Historic Dockyard during the 11th to 12th March 2017. 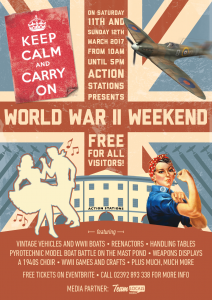 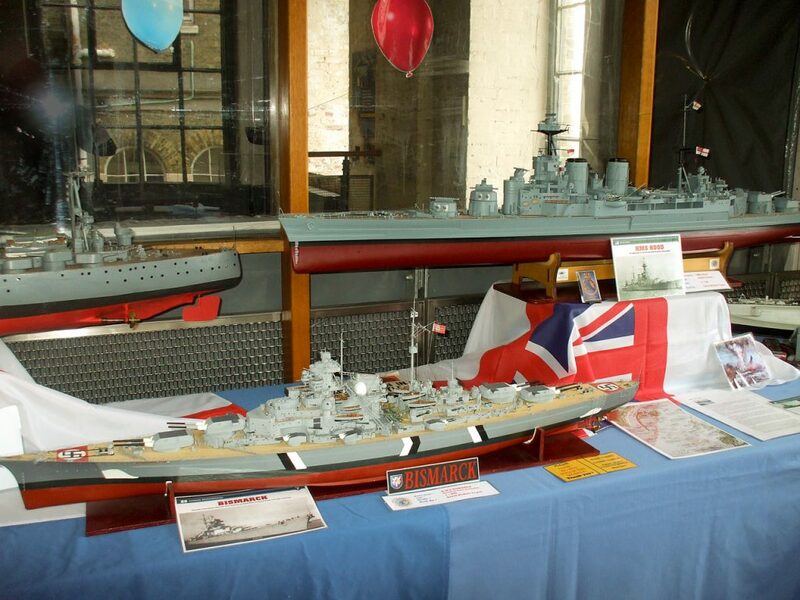 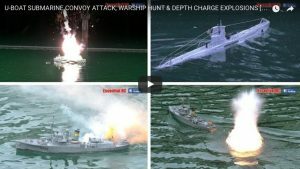 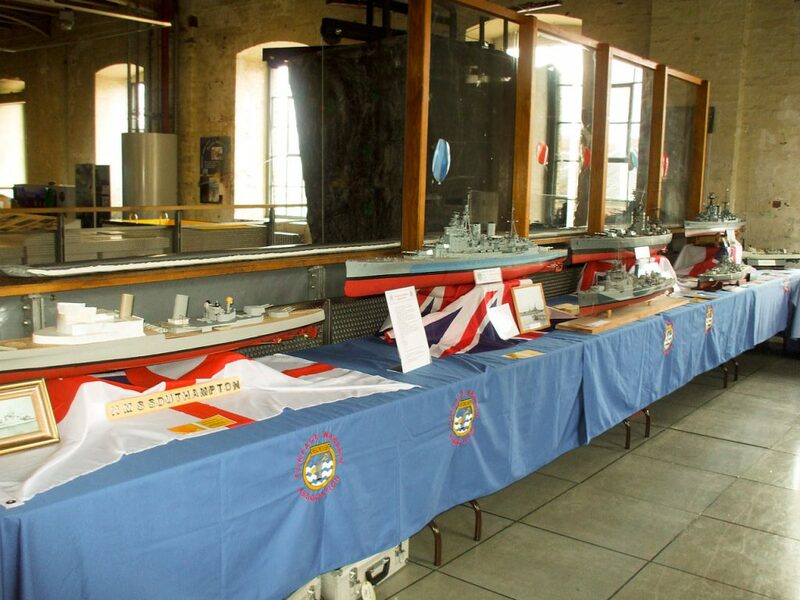 The annual WW2 Event was held in “Action Stations” at Portsmouth Historic Dockyard on 11th/12th March and Surface Warship Association (Area 4) members were asked to display a selection of their models depicting ships from the era. 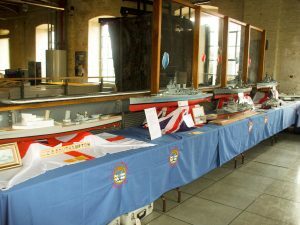 In addition to our display there were numerous stalls selling clothing etc., historic re-enactors in costume/uniforms of the period., the historic ASR Launch and MTB were open to the public and the Portsmouth Model Boat Display Team exhibited their models and were joined by Dave Reith and myself with our E boats to put on a convoy battle on the mast pond outside the venue. 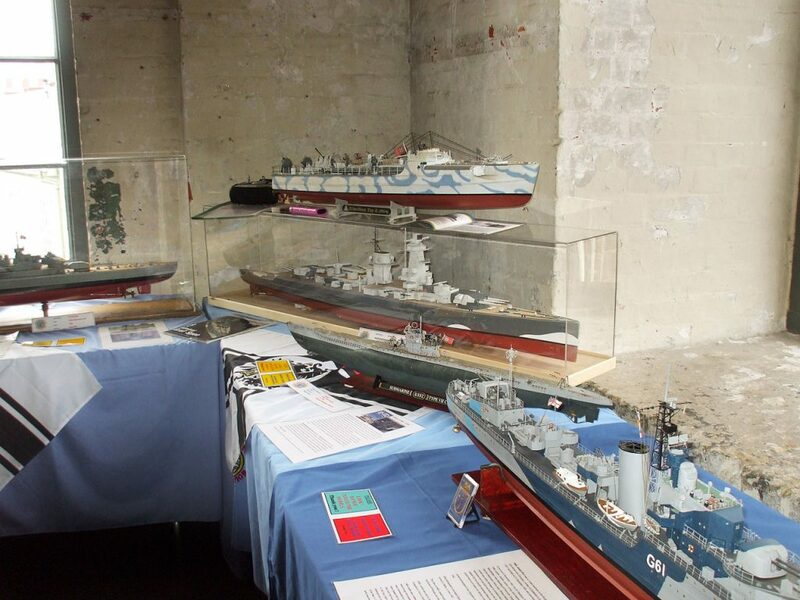 The additional attractions together with free entry to the event attracted a large number of visitors on both days. The SWA display consisted of ships from The Royal Navy, Kreigsmarine and US Navy. 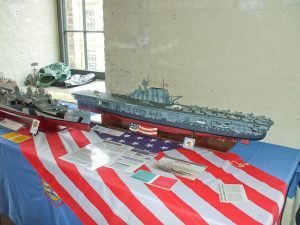 We had five battleships, one aircraft carrier, three cruisers, three destroyers, one sloop, one corvette, a U boat and two E boats on display. Ken Winter had bought along his “in build” model of the Town Class Cruiser HMS Southampton that gave visitors an idea of the work involved in creating our models. 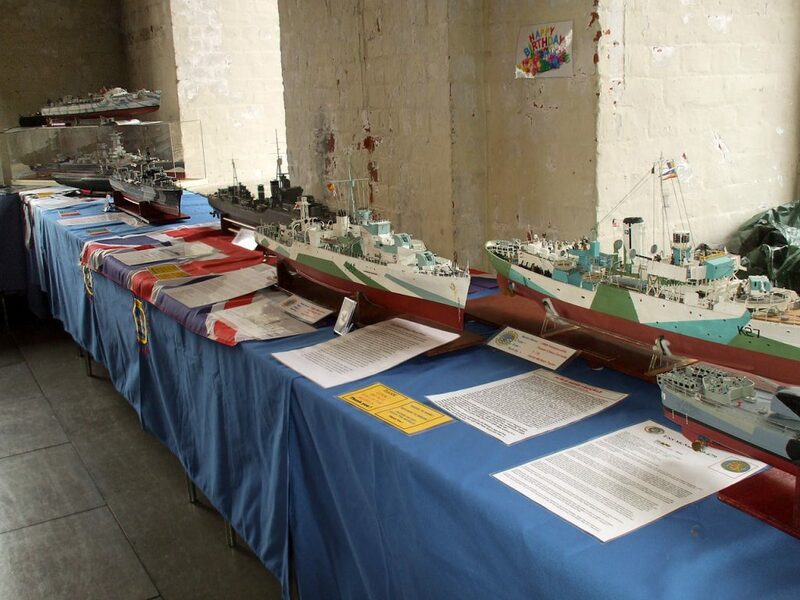 The models were well received by the many visitors and the convoy battle in which our E boats took part attracted many spectators. 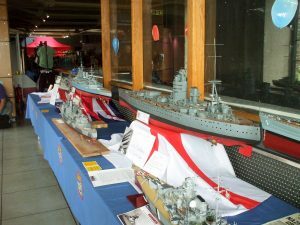 SWA members attending the event were:- John Hawley, Dave Reith, Geoff Young, Alan Gamblin, Ken Winter, and myself David McNair-Taylor.